The Cross Insurance Center may be charging parking fees for certain events. 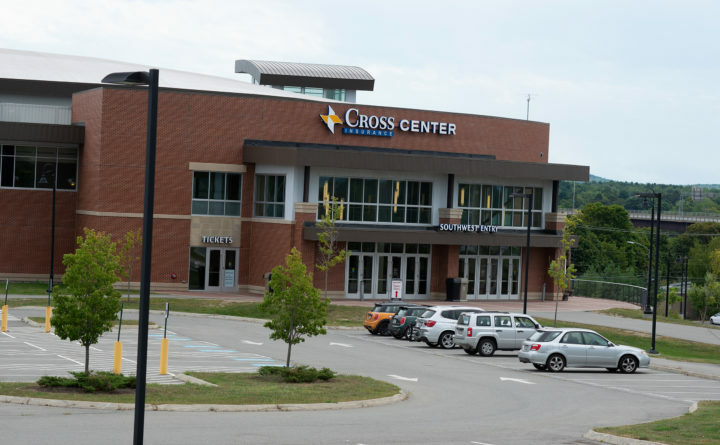 Bangor officials are considering whether to charge for parking at the Cross Insurance Center during some of the venue’s larger events — a decision that would add thousands of dollars in additional revenue to the city each year. There are about 900 parking spaces in the lot behind the Main Street center and another 200 VIP spots. Except for the $10 VIP parking spaces, parking during events is now free. If the city decides to enact parking fees, the fee would likely be $10 or $15 per car, Cross Center General Manager Blake Henry said. The idea, Henry said, is not to charge for parking every time people gather at the center for one of its 250 conventions, sports games or concerts each year, but for the eight or nine of “big-ticket events,” that bring throngs of attendees, such as the sold-out Elton John concert in 2017 that pulled in a crowd of 7,000. Early estimates show the city potentially pulling in upward of $70,000 annually if the fee is set at $10 a spot. “The reality is that everybody is going to make money on parking if they can,” City Councilor David Nealley said at the Sept. 4 Infrastructure Committee meeting. “Bangor has gotten to a point where it really does make sense. It shouldn’t be free parking,” he said. In conjunction with paid parking, Cross Center staff want to test a new reconfiguration of routes in and out of the facility to streamline traffic and prevent delays. Henry said the new traffic pattern — turning Buck Street into a temporary one-way from Main Street that pours all arriving traffic onto Bass Park Boulevard — will be tested at the Paw Patrol concert Oct. 12 and again at the MercyMe concert Nov. 4. Most city councilors supported the proposal at the Tuesday night meeting. “I think it’s a beautiful idea,” Councilor Joe Perry said. The Cross Center would be responsible for setting the price per car at the lot, a move that would not have to be ratified by a council vote. The pay-to-park model likely wouldn’t go into effect until early next year, Henry said. “This is just an experiment to figure out whether or not paid parking on a much larger scale than it currently exists is possible,” he said.